On September 12, I received an email I’ve been waiting for…my application to become a FitFluential Ambassador was accepted. I was excited, honored, humbled, pumped, etc. Me? A fitness ambassador. Who would have ever thought this was possible? Seriously, I am so stoked about this. So what is a FitFluential Ambassador? We are social media influencers who work with FitFluential brand partners. We have a strong presence on social media channels, such as blogs, Instagram, Twitter, Facebook, etc. and we have high quality content with a definitive voice and a passion for fitness-related topics. Yep, that’s me. A FitFluential Ambassador. I am waiting on another email to find out exactly what I need to do, but for right now, I am just flying high and excited to be a part of the fitness world! I am going to let you know upfront, this blog post is going to be all over the place! I haven’t really talked much about food lately and I think it’s because I’ve been doing fairly well, meaning I have been making mostly healthy choices. Yes, of course, I indulge a little. But that’s the key…A LITTLE! 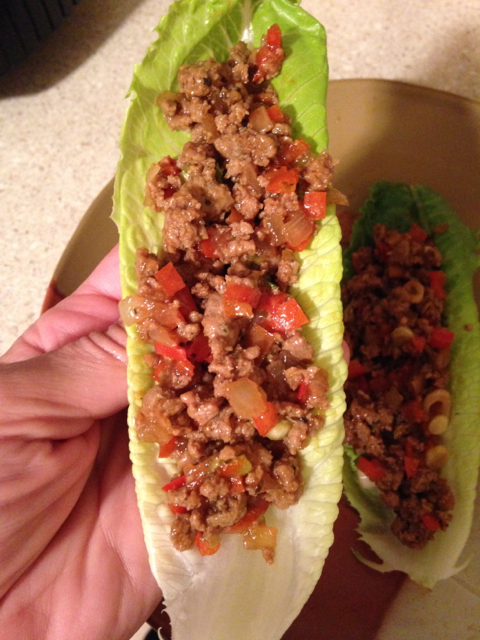 First up is the lettuce wraps my hubby made recently. I got the recipe from Fit Foodie Finds, which by the way, if you haven’t checked out her blog, do so now. Seriously, this girl has it going on. She is one of my inspirations and she is also a fellow FitFluential ambassador. She’s pretty much a rock star in my book. Go check her out…NOW! We made a few alterations to her recipe, such as using ground turkey, adding red pepper and water chestnuts and deleting the mushrooms. These were some rockin’ lettuce wraps! 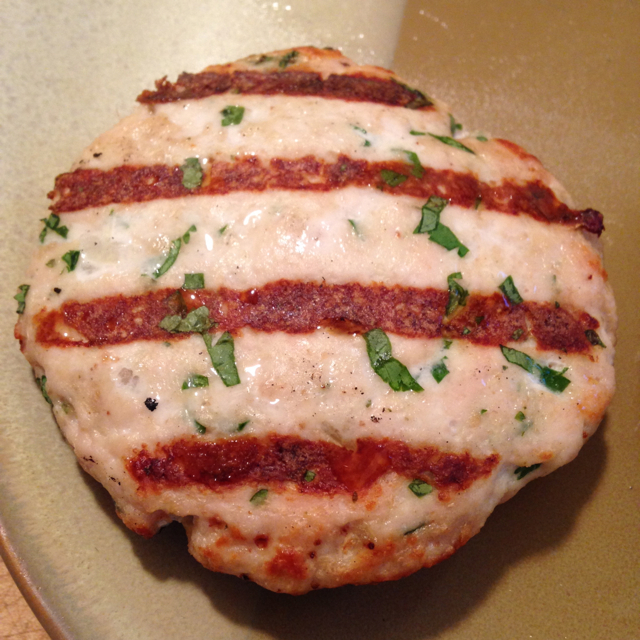 Next up is the turkey burgers (yes, we love TURKEY!) 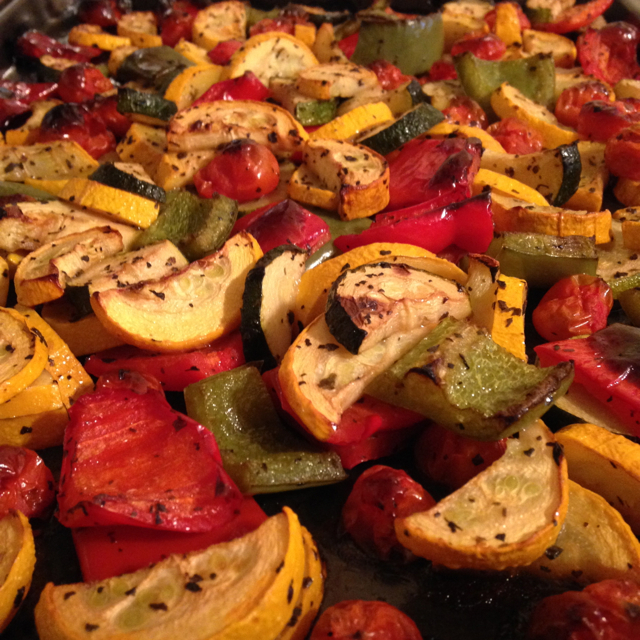 and grilled veggies. I first have to give a shout out to two of my Weight Watchers members, Cheryl and Carolyn. They provided the veggies you are going to see in the picture. I love, LOVE, love when my members bring in produce to share. These were some of the best veggies I have had in a very long time! Thanks, ladies! We had these with turkey burgers that my husband whipped up. He used ground turkey, some seasonings, which I am guessing include liquid smoke, worcestershire sauce, salt, pepper and who knows what else. I know there was fresh cilantro and onions in them and they were DELICIOUS! My son even ate one, which shocked the heck out of me. Don’t they look amazing! I ate mine without a bun and I dipped it in a little sour cream. My husband had sour cream and salsa on his burger. Then, the other day, Al made ham steaks on the grill, which is another one of our favorites. We didn’t really have a side to go with it, so I thought I would just whip something together. I may not be the best cook, but I am pretty good at making side dishes. I like to just toss stuff together and see what happens. 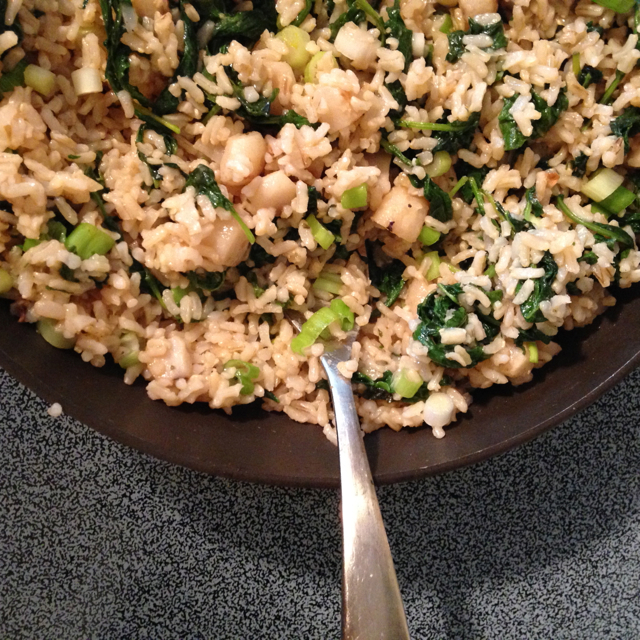 This time, I decided to mix together brown rice, baked kale, sautéed water chestnuts and green onions. The kale, before it was baked, was tossed with a little basil infused olive oil, garlic garlic from Tastefully Simple and a little salt. I baked it until it was done. Sorry, I seriously don’t remember the temperature or how long I baked it. This is probably why I am not the best cook ever – I don’t like to measure or time things! After I tossed all the ingredients together, I added a little La Choy orange ginger sauce to it. For not following a recipe and tossing together a few ingredients, I was pretty impressed with how this dish turned out. And I think my hubby was, too! It was so good. Lastly, this past Saturday, our good friends, Brad and Linda, came over for a mexican fiesta. We had chips and homemade salsa (Linda made this with ingredients from her awesome garden! ), jalapeño popper things my husband made, awesomely fantastic pork carnitas and a sopapilla cream cheese dessert. My husband made the pork carnitas and I actually made the dessert. Yes, I used the recipe and followed it – for the most part. 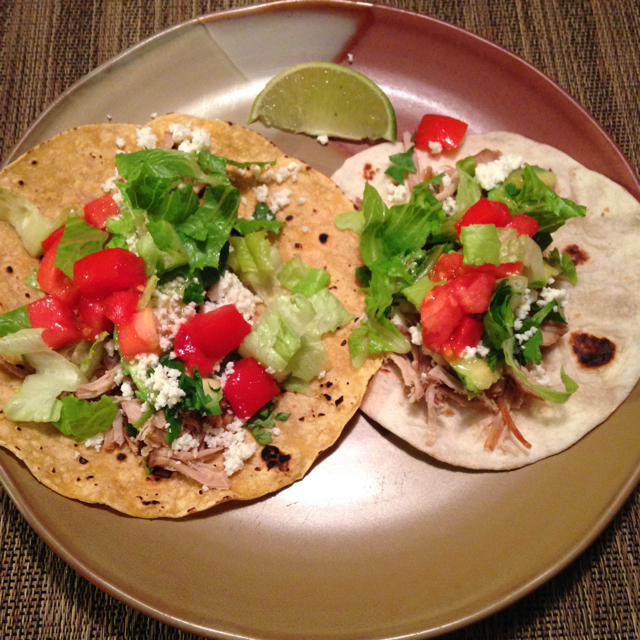 The only thing I ended up taking a picture of was the pork carnitas, which were beyond amazing! Oh, we also had homemade “healthy” margaritas that I mixed up. All you use is Crystal Light lemonade, diet Sprite, lime juice and tequila. If you are making just one pitcher, you use one package (like what you would make with a bottle of water) of the Crystal Light, 1 can of pop, 1/8 cup of lime juice, 1/4 cup of tequila with about 15-20 ice cubes. This makes about a blender full and is only 5 Points Plus Values. And, it is really tasty! Since my last post, we have had one race, which took place this past Saturday. It was a very small event – about 60 participants. 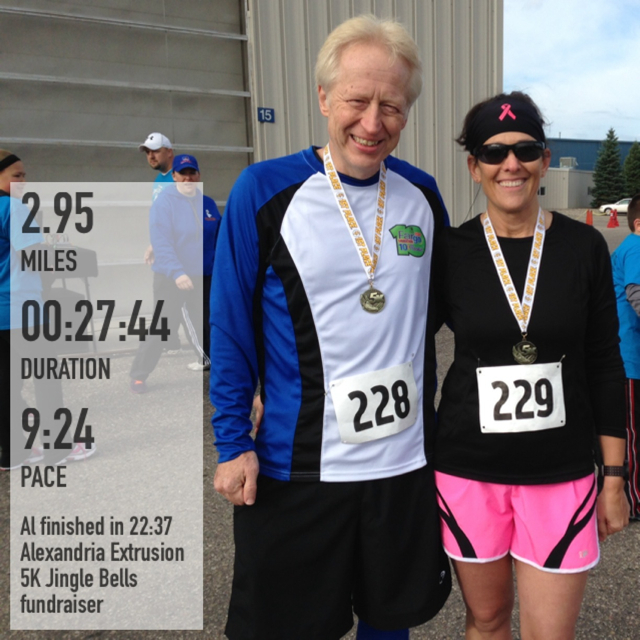 The event, the AEC Jingle Bells 5K, was hosted by Alexandria Extrusion Company/Alexandria Industries. It was mainly employees and their families, but a friend of mine who works there invited us to participated. So, of course, we did. Especially because the race started a little over a half a mile from our house. It was a bit cold that morning, but because it was so close, we opted to walk there. 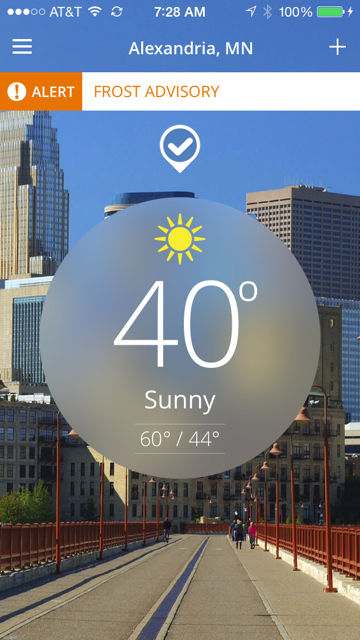 We thought it would be a perfect warmup for the 5K race. Luckily, it was not very windy. It was a great race! Both Al and I did awesome and totally rocked the race. 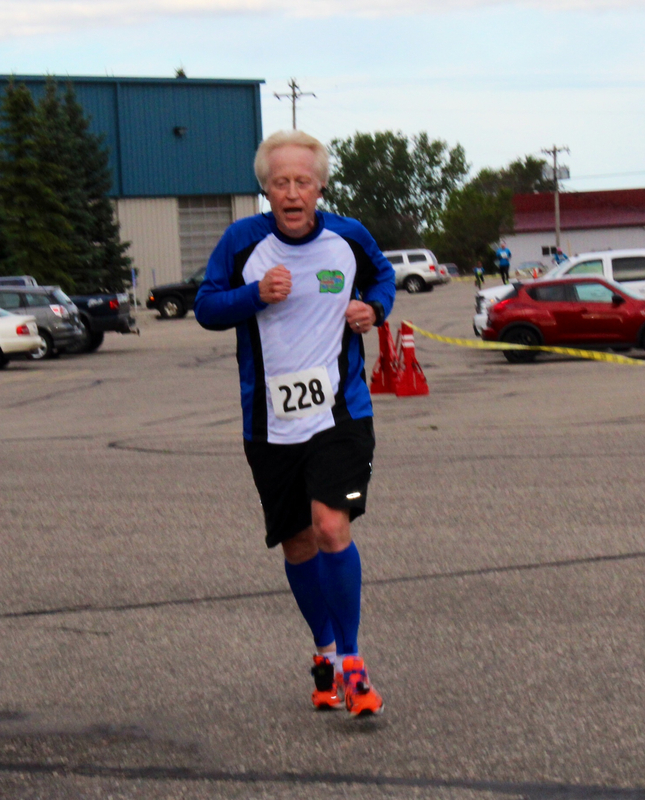 We could have each had a PR (personal record), however, the race route was just a little short – it was only 2.95 miles. Technically, a 5K is supposed to be 3.1 miles. Regardless, it was a fantastic race and we both felt great. We both got first place in our age categories – and yes, there were more than one person in each of our categories! And, Al won a door prize – a nice, new, warm lap blanket! Which, is kind of ironic because the night before the race Al was just saying he wanted his own blanket for when we are sitting on the couch! I have one and don’t share it. Well, now he has his very own! 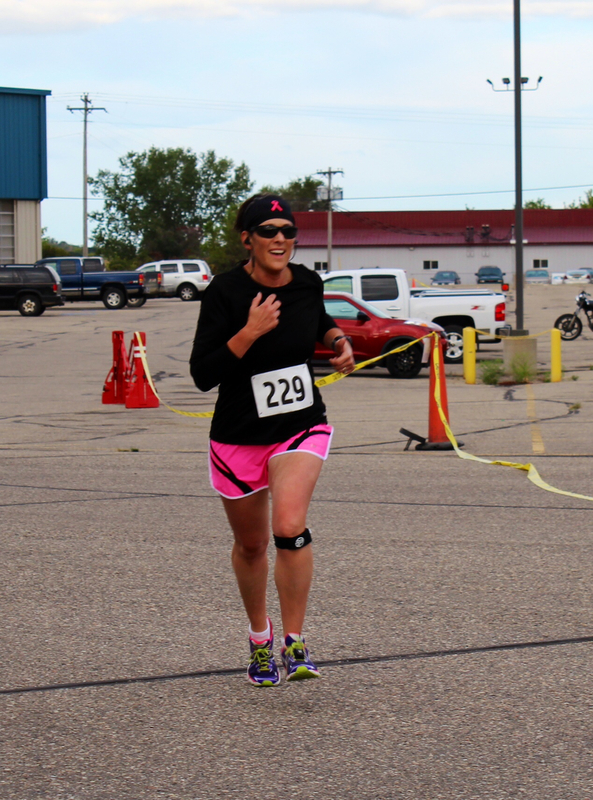 Here are some pictures of us crossing the finish line that someone at the event took (Thanks, Andrea!). Lastly, I just have to give a huge shout out to my friend, erin! She just completed her second Ironman. Talk about an inspiration. Seriously, erin (who always spells her name with a small “e”) is pure awesomeness. PLEASE check out her blog, “sweetsweatlife” and read her Ironman race recap. I just love her! 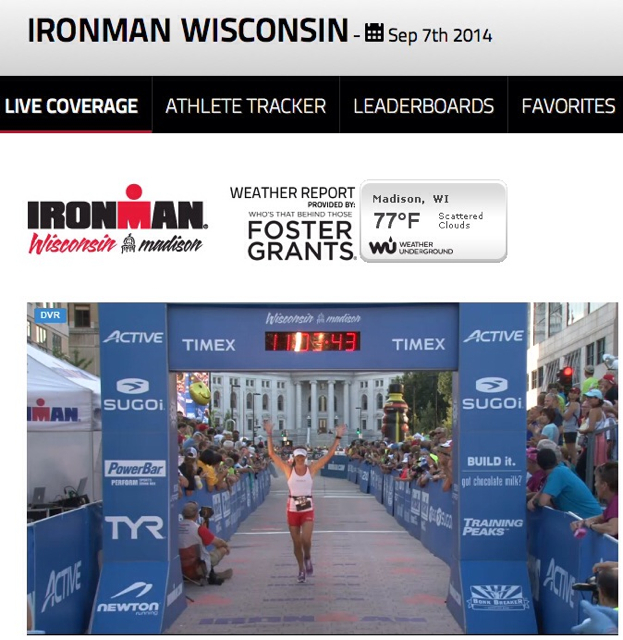 Yep, I got to watch erin cross the finish line via the live coverage on the Ironman website. And yes, I think I watched it at least five times if not more thanks to the rewind function. And each time, there were tears in my eyes and goosebumps on my skin. Way to go, erin. SO proud of you and all your accomplishments! And thanks for being such an inspiration! Congrats on the Fitfluential, the race, and everything else you do to inspire others!